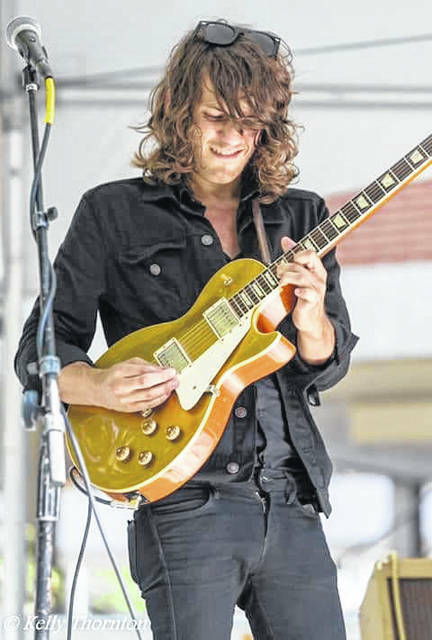 Micah Kesselring will bring blues to Hot Summer Nights. GALLIPOLIS — On Thursday evening, in the Pavilion at the French Art Colony, Micah Kesselring will be performing as the guest artist for this week’s Hot Summer Nights performance. Raised in the Appalachian foothills of Southeastern Ohio, he has performed blues music since he was 14 years-old. He quickly made his way onto the Columbus blues music scene, after playing smaller hometown shows and became acquainted with the Columbus Blues Alliance. He soon traveled to Memphis, Tennessee, for the International Blues Challenge, representing the Columbus Blues Alliance in the Youth Showcase category. Following a performance at the Blues City Café on Beale Street, he was awarded the inaugural Generation Blues Scholarship at the age of 15, to the Centrum Port Townsend Acoustic Blues Festival and Workshop, in Port Townsend, Washington, presented to him by Cassie Taylor at the IBC band finals. His list of performances, both as featured guest artist, as well as with other well-known performers, has taken him not only around the United States, but also to South America. His many awards and recognitions have established his reputation as an internationally-performing blues musician. The French Art Colony says it is proud to have him as this week’s Hot Summer Nights’ featured guest. Gates will open Thursday evening at the pavilion, on the grounds of the French art Colony, at 6 .. Food from the grill will be available for a donation and legal beverages will be for sale. Tickets will be for sale, to win a stay at a beach front Garden City Condo, at $5 each or three for $10. On August 30, the final night of Hot Summer Nights, the winner will be drawn. Also, Hot Summer Nights t-shirts will be available for purchase. All proceeds, from both fundraising sales, will be used to buy fans for the Pavilion, to make it more comfortable, during the hot summer months. Admission is $5 per person and is free for FAC members, as a benefit. The final performance for this year’s Hot Summer Nights series, will be next Thursday, August 30th. For any additional information, call the French Art Colony at 740 -446-3834.